It’s Women’s History Month – a chance to revisit the lives and work of outstanding figures I’ve written about: suffragists, war reporters, and a queen, as well. 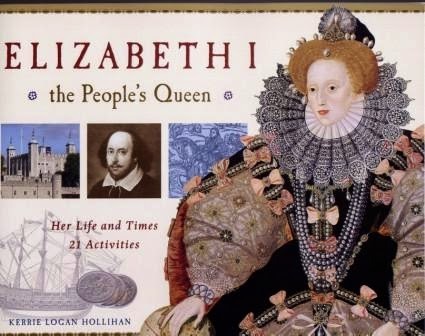 Of them all, I’d have to say that the queen, Elizabeth I of England, found herself in danger more often than even the most intrepid of women reporters I researched for my book Reporting Under Fire. 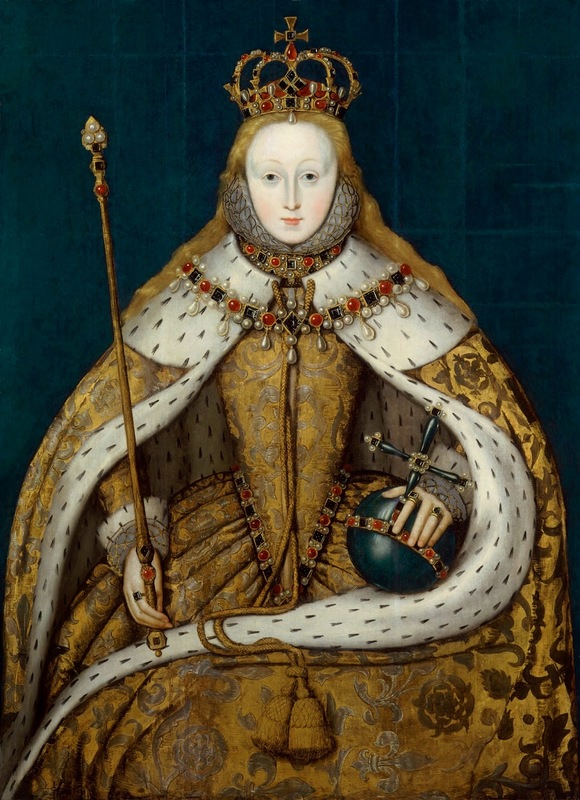 How much more it was a man’s world in 1559, when Elizabeth Tudor followed her sister Mary as England’s queen. Mary had had a husband, King Phillip II of Spain, but Elizabeth never married. She referred to herself as England’s “prince.” During her reign she was the target of many plots to take over her throne. In a day when churchmen taught that women were the sinful daughters of Eve, Elizabeth Tudor led both her country and her church. was linked to a mystical “body politic” that tied her to England’s people and gave her the right to rule over men. Elizabeth did so for more than 40 years. Under Elizabeth, England rose to new heights and its Golden Age. As the tiny nation expanded its global influence, it also blossomed in the arts. The queen went hawking, and she loved to dance. What was more, Elizabethans of all sorts played games, including cards and dice. One old engraving shows a group of well-dressed men playing a game of cards. 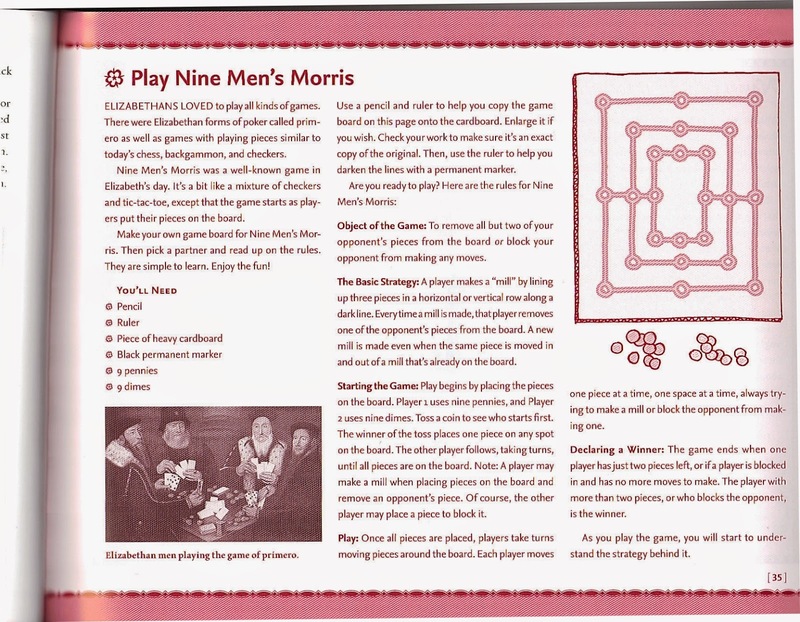 One popular game was Nine Men’s Morris, a combination of checkers and tic-tac-toe. It’s a fun game to play, and easy to make right at home.